Over the course of the past century, war has become a totalizing experience — not confined to relatively small groups of professional soldiers fighting to relatively clear conclusions on clearly demarcated battlefields, but a phenomenon that has lingering repercussions for politics, economics, culture, religion, and education. That change was accompanied by the increasing — and then decreasing — societalization of war, i.e., the mobilization of the entire nation-state’s population and industry for total war. The two World Wars were truly totalizing experiences that impacted the daily lives of every American. But by the Vietnam War, the increasing technological sophistication of the military obviated the importance of massed manpower; even at their height, the famous Vietnam War drafts only called 380,000 men in a year while World War II saw over three million men drafted in 1942 and 1943.¹ Consequently, the war affected far fewer than the World Wars. By the War on Terror, modern warfare had shifted back towards being fought with small groups of professional or quasi-professional, highly specialized soldiers (even as battlefields and conclusions became ever-less defined). For the vast majority of Americans, war is no longer a totalizing experience. As Americans’ experience of warfare shifted over the past century, the way Bethel students engaged them did as well, the locus of activity migrating progressively from the foreign to the domestic. 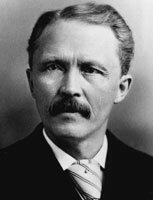 During World War I, Swedish Baptists in Minnesota debated whether or not they should abandon their traditional isolationist views and support the war. Most at Bethel did, whether from a genuine patriotism or from a desire to mitigate how strongly the nativist backlash impacted their lives. In World War II, people at Bethel largely supported the war, participating in the racialized language used to describe the Japanese and turning solidly against the interwar isolationism of mainstream American society. Both of these experiences were thoroughly outwardly oriented — towards war aims, the direction of American foreign policy, and what role the United States should play in the world. Vietnam saw these outward-oriented concerns turn strongly inward. Student still debated Vietnam War policy and whether the war was a valid tactic within larger Cold War strategy, but increasingly the focus of debate and concern were for the domestic repercussions of the war on American society. Students linked the war overseas to continuing American racial inequality, the high levels of urban violence, and the feeling of generational disaffection and malaise that was in the air. In popular memory, the Vietnam War is defined almost entirely for its effect on U.S. society and culture. The final war of the last century, the War on Terror, completed this process. Students at Bethel seldom discussed the foreign aspects of the war; when they did, such discussion were coopted into a language constructed entirely to aid in winning partisan political battled. War was no longer about fighting and defeating an external enemy, realigning world power, or conforming to a geopolitical doctrine, but was merely fodder for domestic political concerns. If this project illustrates how the locus of debate has shifted in a single direction over the past century, the sources we’ve drawn from have imparted a symmetry. Chris’s efforts to document Bethel’s experience of World War I were significantly hampered by the lack of evidence. This was for several reasons. First, much of the evidence from that time has simply been lost, thrown out and discarded over the decades. 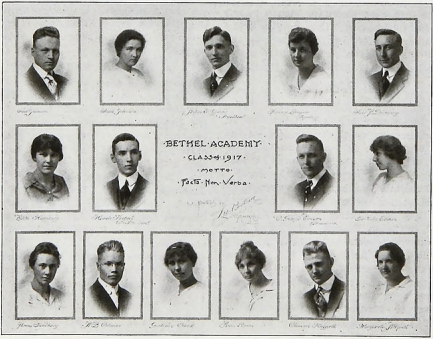 Second, as a denominationally-owned secondary school, Bethel Academy did not possess the bureaucratic sophistication to generate an abundance of documentary material. And finally, many of the materials which do survive are accessible only in the Swedish language — a nearly insurmountable barrier for the purposes of this project. Chris’s work on World War II was considerably enriched by the much greater amount of evidence for that war. By the 1940s, the Swedish language issue had largely disappeared as the Academy transformed into a junior college and two-and-a-half decades of Americanization took its course. During the interwar period, the number of denominational materials, as well as Clarions, yearbooks, and other Bethel documents proliferated, allowing Chris to develop the World War II material into one of the two richest sections of the project. In like manner, I was able to develop the Vietnam War era into the other. The Vietnam War occurred during the full flowering of the 20th century apparatus for recording and preserving historical moments. The school’s recent push towards professionalization, its employment of a secretarial staff, and the universal reliance on hardcopy material meant that the 1960s and 1970s are extraordinarily well preserved and thus invite deep and sustained research. My efforts to document Bethel’s Vietnam experience benefited strongly from the availability of such resources. But by the War on Terror, the sources run thin, just as they did for World War I, although for different reasons. First, the War on Terror is simply too recent to have generated any degree of archival record. George Brushaber, Bethel’s president during the apogee of debate, has only recently begun the process of organizing and donating his papers to The History Center, Bethel’s archive. In contrast, Vietnam’s Carl Lundquist’s papers are a model archival collection — systematically organized, well-indexed, and thoroughly described in a finding aid. But more disheartening, the War on Terror occurred during the emergence of what I call the “digital void” — that era in which most documentation is ‘born-digital,’ or created on a computer and perhaps never transitioning to hard copy. Such documents usually ‘die-digital’ as well, and are thus irrevocably lost to future historians. Thus, the War on Terror section of this project, like World War I, is comparably brief. • By the end of World War II, the Junior College and the renamed Baptist General Conference of America functioned as parallel institutions. Each was differentiated into its respective role, but both remained comfortably unified with the other in mission, outlook, and culture. 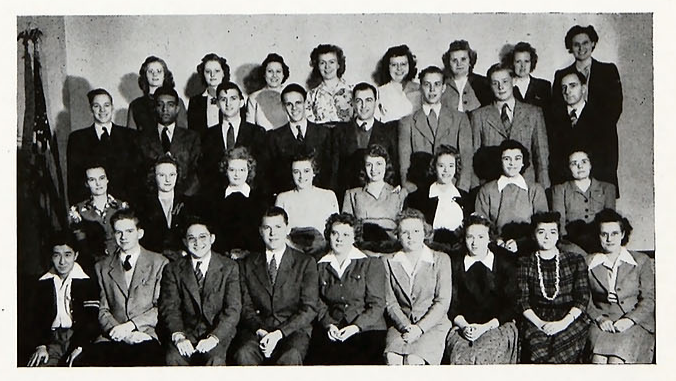 World War II occurred during the decade of transition in the BGC between the old Swedish-speaking generation and the younger, largely Americanized, English speakers, a handoff which reflected life at Bethel College; by the 1940s, Bethel College had largely completed its role as an instrument of Americanization and had stepped to the cusp of becoming a traditional four-year, residential, liberal arts college affiliated with a denomination. • Twenty years later, during the Vietnam War, Bethel College and the Baptist General Conference were institutions actively tracking away from each other — a divergence attributable to each institution’s unique reaction to the war and the advent of Sixties culture. 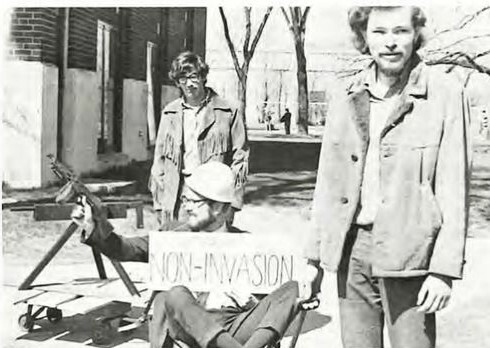 While the conservative Conference largely ignored the war and refocused its energies on evangelism, the College engaged Vietnam, questioned the importance of evangelism in light of broken American social conditions and enduring racism, and veered into the political left. The result was a noticeable increase in tension between the College and the Conference, the latter of which displayed increasing discomfort with the state of affairs at Bethel. • In the years between Vietnam and the War on Terror, Bethel College and the Baptist General Conference drew together again, becoming once more roughly parallel institutions. However, this rapprochement occurred as part of a larger shift in American evangelicalism to the political right; as a result, while Bethel and Converge were more unified during the early 2000s, both became largely divorced from their Swedish Baptist heritage in favor of a generic, non-denominational evangelicalism, a child of the culture wars. So the institutions were unified again, it was a unity shaped less by a return to their distinctive historical identities — as existed during World War II — than by a broader movement in American Christianity. In the years since September 11 and the invasions of Afghanistan and Iraq, Bethel University and Converge Worldwide have continued to change. In recent years, the importance of the culture wars and the distinctly politicized religion so redolent of the late 1980s and 1990s has seemed to slacken at Bethel, and to a lesser extent, within Converge. As millennial evangelical students increasingly adopt more liberalized attitudes on human sexuality than their elders, and as the demographic change underway for years begins to actively remake college-going demographics, Bethel may be entering a new period of divergence with Converge, particularly as that denomination has continued to espouse a conservative position on human sexuality. Additionally, as Converge Worldwide continues to expand its membership among minority communities, the effect is to perpetuate the generic evangelicalism the denomination has adopted and solidify further its remove from a distinctively Swedish pietist past. Bethel University, in contrast, has significant loci of faculty and administration — Chris Gehrz prominent among them — who are actively seeking through scholarship, pedagogy, and institutional service to recover a distinctively pietist vision for Christian higher education (not coincidentally, the name of Chris’s latest edited book which contains contributions from over a dozen current and former Bethel faculty and staff). The past century’s history of Bethel and its denomination merits further consideration, and ample materials remain, unplumbed, in the college’s archive to support such an effort. For example, during World War II, Bethel College welcomed a number of students of color to its community for the first time, inaugurating an effort to expand the college beyond its homogeneous ethnic past that would wax and wane in intensity through the present. Although a recent History Senior Seminar paper offered a preliminary exploration of this subject, the topic would benefit further from a sustained examination in a project like this one. Another dimension of Bethel’s struggle over race which this project has unfortunately not explored is the role of civil rights in the decade after 1955 in shaping interactions between the College and Conference. Such a study could illuminate important new insights into the divergence between the College and Conference and play a role in shaping conversations about race at Bethel in the present historical moment. This work is left to future researchers. Like Fletcher, I hope that this is but the beginning of a renewed wave of interest in the institutional history of Bethel and its denomination. (Not only for the sake of this community, but for other historians. As a recent, justly acclaimed history of the Baptists in America has demonstrated, even gifted scholars still find it too easy to overlook the distinctive experience of Converge Worldwide and its university.) If we’re at the cusp of something, I hope also that we’ve set a good example. First, in the way we’ve engaged in the practice of institutional history. Historians often summarize their distinctive approach to thinking about the past in terms of “5 C’s.” But while the concepts of change over time, context, causality, complexity, and contingency run through this project, an institutional history like this one ought to add at least three more C’s to the list. • While we trust that our research and analysis makes some contribution to larger histories of education, religion, and war, a project of this sort is written by and for members of a particular community. One author is a Bethel professor; the other was a Bethel student when the project started and became an alumnus as it finished. Moreover, the digital nature of the project enabled us to solicit helpful feedback from other alumni and employees, whose comments and anecdotes have enriched and reshaped the story we told. • At the same time, because we were committed to telling that story in all its complexity, we inevitably came to moments that demanded something like confession. Much as an institutional history ought to commemorate a community’s past and to celebrate its accomplishments, it ought also to reflect an honest, critical assessment of shortcomings. The history of any human endeavor involves iniquity, and a Christian community is as likely as any other to compromise its values, to resist or embrace change too quickly, to have conversations poorly or not at all, and to treat some of its members less well than others. For better and worse, all such faults are brought to harsher light by the pressures and conflicts of wartime, which has always inspired as much vice as virtue. • But to the extent that this project was written about Bethel in a way that reflects its religious convictions, then even our criticism should be tempered by compassion. For history is one of the humanities — a disciplined contemplation of the experience of creatures made in the image of their Creator. Second, in the use of digital history to tell such stories. As things worked out, the heart of this work consisted of a set of fairly traditional interpretive essays. But in terms of how research was conducted and how findings were made available, I think that we’ve tapped into some of the potential of digitization. As Bethel approaches its 150th anniversary, I suspect that a series of digital exhibits would more widely and more powerfully communicate Bethel’s history than would another booklet or book chapter. Finally, in the collaboration between teacher and student. This project originated with a program named for Bethel’s founder, John Alexis Edgren, who aspired for Bethel teachers and students to relate to each other with “real friendship and helpfulness, remembering that One is our Master, and we are all brethren.” It’s been a joy to experience that principle lived out in the shared labor of historical scholarship — while the idea for this project originated in the intersection of my interests, the result is more a tribute to Fletcher’s abilities than mine — and I pray that the same spirit will animate the writing of new chapters in the history of Edgren’s school.